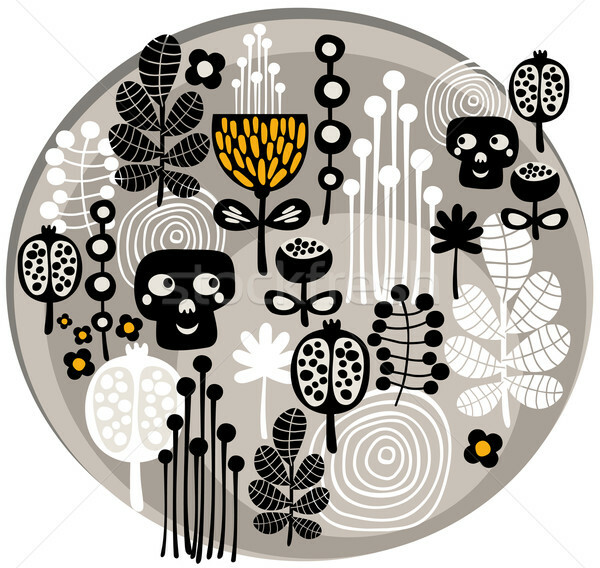 Stock photo / Stock vector illustration: Skulls and flowers. Vector illustration. Online since September 18, 2013.